The answer may surprise you. There is a common misperception that there is a direct correlation between a tree’s size and a tree’s age 100 percent of the time. The truth is, it is not usually possible to tell the age of tree just by looking at it (the exception is Eastern white pine which grows a new ring of branches for every year of growth). To tell the true age of most trees, you must count the rings. The most obvious way to do this is to cut the tree down, but foresters have a tool called an “increment borer” which can bore into the tree and take a sample with minimum harm to the tree. Lots of factors contribute to tree growth: species, sunlight availability, competition from other trees, history of forest management and many more. These are just a few things that foresters consider when advising landowners about how to manage their forests. It is important to not give the advantage to poor-performing trees when harvesting timber, which is why careful planning and preparation is needed prior to cutting any trees. In lieu of select cutting, heavier harvesting will remove poor performers and open up sunlight and resources for seedlings. This will create a younger, healthier and better growing forest. 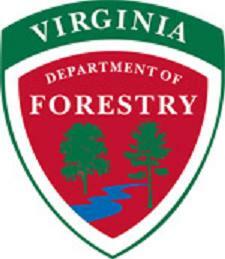 Having a forester from the Virginia Department of Forestry, or a consultant, inspect your forest and assess the age, health, and needs to maintain a healthy ecosystem is a worthwhile investment of time and resources if you’re planning on harvesting trees now, in the future or just want to make sure your woods are healthy. Next PostBe Thankful for the Good Bugs!